Time to market/process cycle time is improved, possibly to reducing the time to that of a single iteration. This reduced time to market can produce an incredible competitive advantage both by increasing an organization’s ability to respond to change and by proactively instigating change that other organizations will not be able to respond to adequately. Using Agile Work practices and focusing on Agile Work disciplines improves the chance of projects being delivered under budget. In fact, the whole notion of budget becomes meaningless when agile projects are delivering incredible value incredibly quickly. Profit-oriented organizations will see their budgets expand as their profit grows and non-profit organizations will see the value they deliver grow far beyond expectations with a constant budget. Stakeholders, in particular end-users have ownership of the solution and are more likely to accept it. Whatever system or result Agile Work is used to create, that result will have very low levels of waste due to non-acceptance. This is also a reduction of the risk that the wrong solution or a poor solution is delivered. Improvements in staff development and retention by providing a positive learning culture. In some industries and sectors staff turnover is a major expense or source of waste. Agile Work is interesting, exciting and satisfying. People who have experienced Agile Work actively promote it and seek it out because it creates a situation where their talents are valued and used effectively. 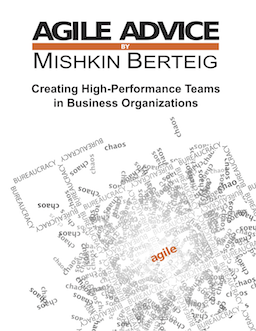 Adopting Agile Work will attract talented team players to your organization.